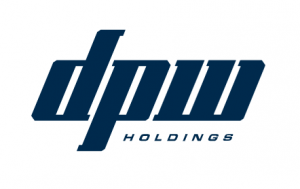 On February 11th, DPW Holdings, Inc. (NYSE American: DPW) a diversified holding company announced it opened registration for its first investor conference on February 25, 2019, with presentations beginning at approximately 9:00am ET. The presentations introduced DPW to those who are new to the Company, its subsidiaries and investees while updating those more familiar with the Company on the latest financial results and operational performance, activities, plans and outlook. This conference is important to note as DPW is a large investor in MTIX International. Additionally, Coolisys Technologies, a DPW Holdings Subsidiary, has been contracted by MTIX Ltd. as the Master Contractor to oversee and coordinate the build of the MLSE Platform systems. In light of these relationships, DPW Holdings asked MTIX International CEO, Phil Mansour to present information about MTIX’s activities, plans and outlook at the conference. Below is the full list of presenters at the conference. MTIX International appreciates the professional and financial support that DPW and it’s subsidiaries has provided. We look forward to a long and continued relationship. For any questions about the nature of the relationship with DPW Holdings, please visit the Investor Relations page or Contact Us here. ← Can Fashion Be Sustainable?